Market positioning establishes consumer perception, which determines how your pricing is viewed. The more ROI-driven or innovative your offering, the better. If you offer something that cannot be replicated by a competitor, you have greater flexibility in what you charge. Makes sense, right? Let’s face it, creatives fear boredom. And many of us believe that by niching down to a particular service offering, industry or vertical—or a combination of these—they will be stuck doing the same thing day in and out. Whether they know it or not, agencies that are poorly positioned actually offer commoditized services. This allows prospects and existing clients alike to easily find a replacement because no unique value proposition has surfaced. If your prospects and clients tend to run you into the ground on pricing, with scope creep, and their expectations of your time, your positioning needs some work, friend. What Does Good Positioning Look Like? When positioning is undefined, it leads to confusion in the market, which attracts unqualified and non-ideal clients, typically with smaller budgets. Teams become unhappy with the type of work they have to perform or produce each day, which leads to both client and employee attrition—and an overall loss of profit and even cash flow issues. Great positioning is always at the root because clarity in the market means qualified leads and ideal clients who are willing to pay premium prices. Passionate teams are happy teams, which leads to both client and employee retention—and higher profit margins. Your agency’s positioning should be derived from the cross-section of expertise and passion of your team. This means that your offerings will be founded on skill and strength of expertise, with the passion and pride to see work through. Your team is the backbone of great positioning because of their problem-solving capabilities. And with that, your services can be at a premium. 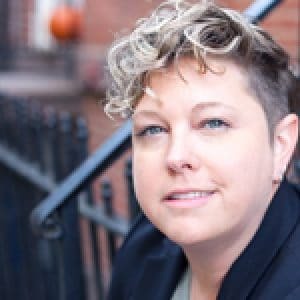 Learn more about people, positioning, pipeline and profitability from Agency Growth Consultant and Keynote Speaker, Kelly Campbell, at AgencyCon 2018.